Recorded at the Newport Jazz Festival, July 2, 1965. 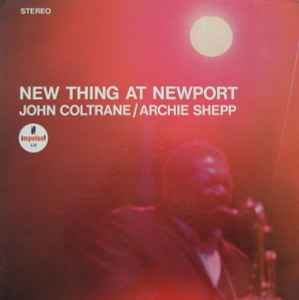 Honestly, to put John Coltrane's name first as well as his picture on the front cover when he's featured only on one track - which is not even memorable - while Archie Shepp is actually performing four intense tracks, is a farce. With all due respect to Impulse Records that I deeply love.